I know we are all tired of this incredibly severe winter, but since lots of people are getting lots of snow . . . why not have a little fun with it? Ready? Synopsis: (from publisher’s website) This humorous variation on the classic song “If You’re Happy and You Know It” introduces a group of adorable animals playing joyfully in the snow. They tumble on the tundra, catch snowflakes on their tongues, sculpt snowcritters, and make a frosty fort. But can they go with the flow when their wild adventure drifts in a surprising direction? Young readers will laugh and sing along! If it’s snowy and you know it, clap your paws. You can tumble on the tundra, just because. roll a snowball up and throw it. 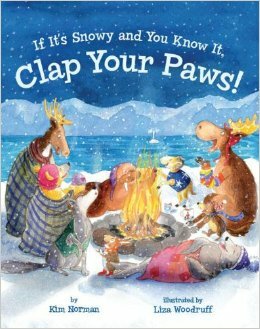 If it’s snowy and you know it . . .
. . . clap your paws! You’re going to buy the book? And you’re going to the library to check it out? Well could you read the rest of the review before you head out? Ahhh! You’re back in your chair. Thanks! Pick another season and have kids pick animals and brainstorm activities those animals could be doing for that season. Create a stanza or two of the song. For those who are feeling especially industrious, I found the link to this Multi-Colored Igloo on the If It’s Snowy and You Know It, Clap Your Paws Facebook Page. I realize building the life-size igloo would probably be too much, but building a small version would be a fun winter project for kids at home in a snowy backyard. Have kids come up with hand motions for each stanza in the book. Sing through with hand motions. Why I Like This Book: The same reason why y’all were jumping up to go get the book! The rhyme is sublime! It is playful and fun and begs to be read aloud or sung. I was singing and smiling with every page turn. The illustrations complement the text perfectly and add humor. This one is a keeper for reading to your kids at home and for sharing in the classroom. Hat’s, mittens, and earmuffs off to Kim Norman and Liza Woodruff! Oooohhh! Sing along books are sooo much fun as read aloud books! And I think I could get into this one! Thanks for sharing!! Sounds fun. I’ll see if the library has it. You made my day, Erik! Every time I come back to respond to comments I start singing it all over again! How fun! Makes me want to start clapping, singing, dancing! Refreshingly eye-catching illustrations. What’s not to love? Thanks. I agree! What’s not to love???!!!!! Wow, I started singing along immediately. FUN! Me too! And I sang the whole thing through! Interesting! I have an ms based on a children’s song, so I’ll HAVE to check this out! You do! Absolutely! I love that our research is picture books! My ‘other’ friends are just starting to get it and make more suggestions! I need to make more friends! I have been considering going to the library storytime! Super PPBF! I happened to be at the library while this was shared during story hour, and the kids were SO into the song and the story. And as you note, sublime rhyme indeed! Oh fun! Glad to hear it was a hit with the kids! Adorable! I definitely want to read the entire book to find out about the “surprising direction” of their adventure. Great extension activities, Penny! Thanks, Carole. It’s a really cute book and I love how the rhyme draws the reader in. It’s a good book to hunker down with!!! Great! Now I have that song stuck in my head! Just kidding. I have seen this book and it is a perfect picture book. Thanks for reminding me of it. I know! I had the song stuck in my head for days! Your timing is perfect with the next snow front heading east this weekend. I actually thought this might be and Iza book when I saw the title. It sounds like it is very entertaining and the rhyming lovely. This had me singing! With the forecast, I should get this in the house before Monday so maybe I can appreciate the snow. Penny, Super fun review! I found myself humming along as I was reading. La-la-la-la-la-la-la-la…clap your paws!!! I know! I’m singing, too! If you make that igloo I want pictures!!! It’s amazing, isn’t it? Penny–this does seem the perfect book for this particular winter! Yes, please. Just what we need for the upcoming snowstorms. I’ll add it to my list, right under bread and milk. It belongs on that list! Picture books are definitely a staple! This book is right down my alley! Thanks- can’t wait to see it! It is right down your alley, isn’t it! I think you’ll love it! Oh my lord, just as well I’m reading this at half past midnight on Friday night or should I say Saturday morning, or I would have been out the door like a shot to see if it’s in my local library, and not finished reading your wonderful review. 😉 What a super book. 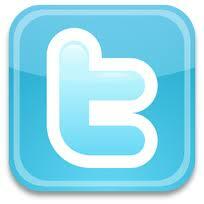 I would get it for a number of reasons which you have mentioned. What fun to read and the illustrations…. SNOW! Beautiful! Off to bed now, library in the morning. I hope your library has it! What we need is a 24-hour library, huh? Then you could’ve rushed out at midnight!